Samson Puff Trucks are now available!! Check out the Merchandise page to see the new Samson 20th Anniversary T-Shirts, Puff Trucks, 11x 14 anniversary poster and Samson Pennants. Also, new Samson die cast toys to be available in 2008. The first dates of the 2008 season are now available on our Schedule page! Dan and the brand new Samson truck will be running for the Monster Nationals Championship, as well as competing again this year for Chris Arel Motorsports. See those dates and more by clicking the link above and we'll see you on the road in 2008! The first season of the Major League of Monster Trucks is in the books, and Dan finished the season in third place in the overall points standings. The fall season was a successful one for Samson, with a big win Friday Oct. 19, 2007 at Memphis Motorsports Park, and final round appearances Saturday Oct. 20, 2007 in Memphis and Sep. 21, 2007 at Las Vegas Motor Speedway. 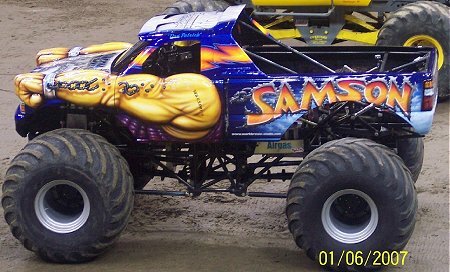 The MLMT event in Nashville, TN on Oct. 27, 2007 would be the last racing appearance for the current Samson Monster Truck. The truck (without the current body) has been sold to the Fun Spot Action Park in Orlando, Florida and will be on permanent display along side the Bigfoot truck that was purchased from Race Rock in June. 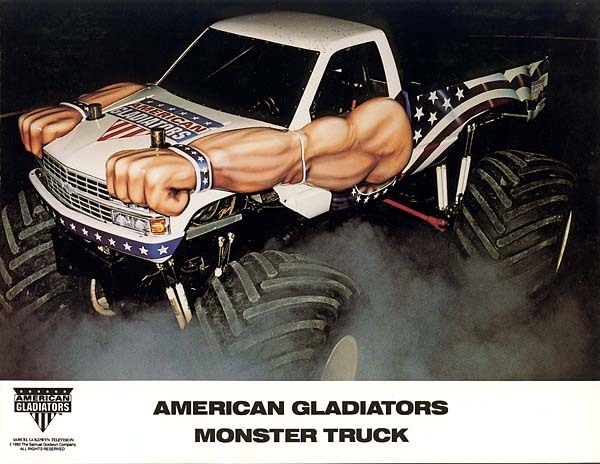 The Samson truck with the Red-White-Blue body will be identical to the one that was on display inside the Race Rock Restaurant in Orlando. The truck will be in place at the park by the end of 2007. After 14 years of racing Samson, (Patrick Chassis # 13) Dan will be building a new chassis for himself this winter, to be debuted Jan. 11 -12, 2008 at the Big Sandy Superstore Arena in Huntington, WV at George Eisenhart's Monster Nationals. 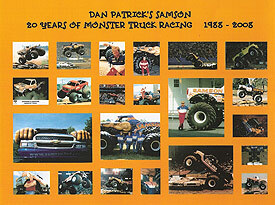 2008 will also mark Dan's 20th Anniversary of monster truck racing with Samson. 20th Anniversary Samson items will be for sale on the web site soon. Also, 2008 dates to be posted to the web site soon. Watch for the "SUPER SAMSON SALE" in December. Patrick Enterprises will have "tons" of used parts for sale. Ex. Shocks, Rear ends, Rear end Components, complete Rear end assembly's and more. 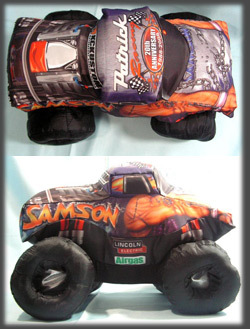 Dan Patricks 1992 Samson Chevrolet Monster Truck sold Saturday June 4, 2007 at the Race Rock "Final Lap" memorabilia liquidation auction in Orlando, Florida. 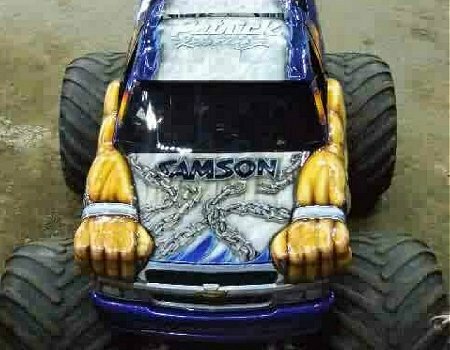 The Samson Monster Truck brought the 2nd highest bid of the 3 day event. 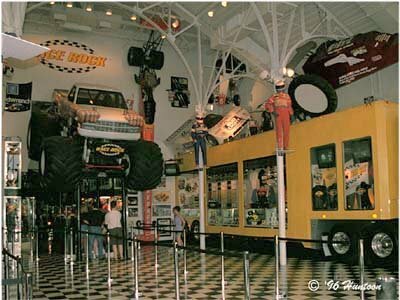 The truck has been permanently displayed inside the Race Rock Restaurant on pedestals, with the hostess stand underneath, since the grand opening on February 7, 1996. The restaurant closed its doors to the public March 22, 2007. Dan and Chris Patrick attended the event, which was very bittersweet. "It was very unfortunate to see the restaurant close. It was a unique place to visit and see such a huge collection of all types of motorsports items under one roof. It was also very heartbreaking to say a final good-bye to the first Samson truck that started Dans monster truck racing career in 1988. We attended the grand opening and closing of Race Rock Orlando!" 5.16.07 [Site Update] New Coloring page added for the kids! 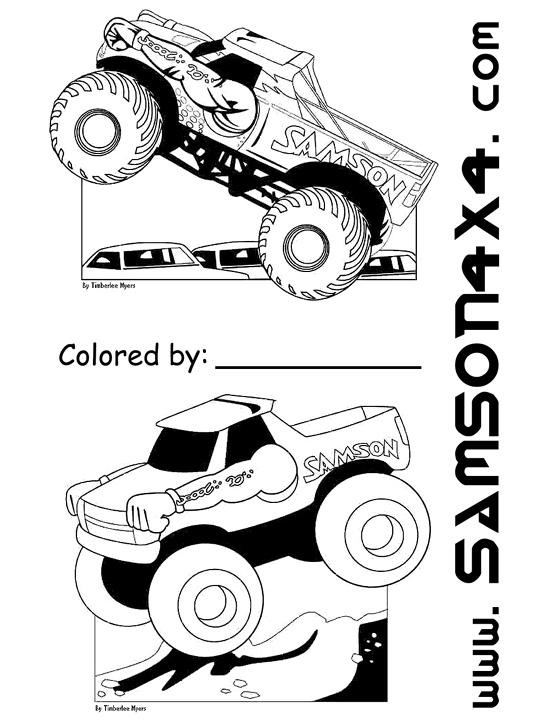 Check out the new coloring page with 2 different views of SAMSON! Click on the image to view full size. Note - you may have to adjust your print settings to get it at full page.Have fun! Dan Patrick and SAMSON unveiled a brand new paint scheme at their first Monster Jam event of 2007 - the Nationwide Arena in Columbus, OH. Check out photos in the media section.